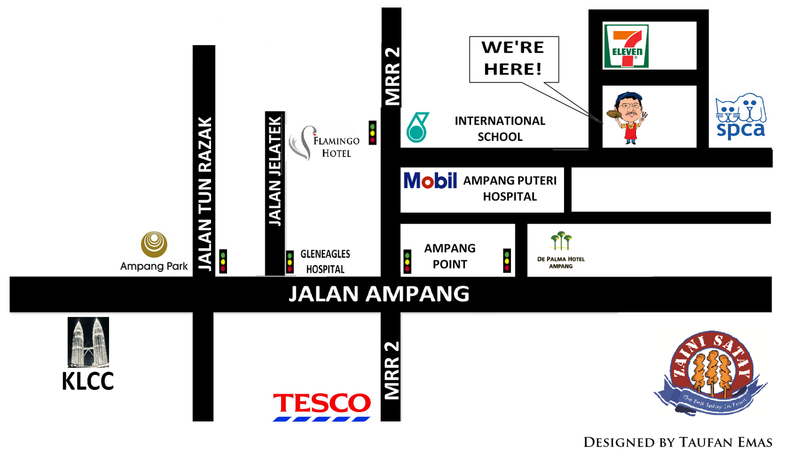 Go straight to Jalan Ampang, pass through Ampang Park, Great Eastern Mall, Gneneagles Hospital. Turn left before the flyover bridge (after Risda Building), and turn right at first traffic light. (in front of Flamingo Hotel). 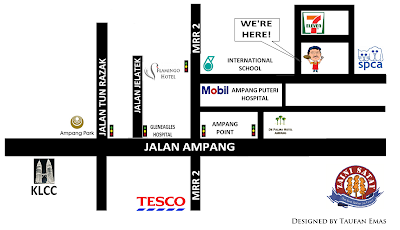 Go straight and pass through Petronas McDonalds, International School of Kuala Lumpur (ISKL) and turn left to the food court. Our stall just in front of 7-11. By using KL-Seremban Highway, exit at Kajang Toll and go straight heading to Bandar Baru Bangi. At the end of the road, turn left. Go straight till you find roundabout and turn to 9 o'clock. You will see PETRONAS on your right, and on the first traffic light turn right. 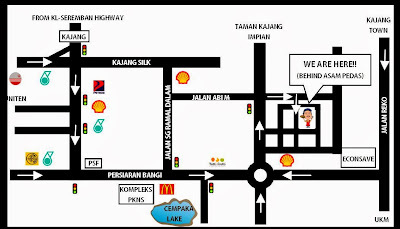 Turn right again and find JALAN 7/7D. Our stall located at corner lot restaurant (Sri Bistari Restaurant).